It’s October and everyone is eagerly awaiting the end of the month–Halloween. But in the meantime, if you are looking for a little pre-Halloween scare, Universal Studio’s Halloween Horror Nights is the perfect place. This event runs from the beginning to end of October, attracting hordes of people looking to be terrorized. The theme park hosts several mazes (equivalent to different themed haunted houses), each one with some sort of character or creature out of your favorite horror film/TV show. This year is the event’s 25th anniversary, so you can bet it will be a special one. The mazes will include themes such as: Alien vs. Predator, The Walking Dead, Insidious, Crimson Peak, This is the End, and Halloween: Michael Myers Comes Home. Part of what makes Horror Nights so special is that the mazes come straight out of the Universal Studio films you’ve seen at home. Add this to the convincing costumes and sets, and it makes the whole experience even more realistic and scary. 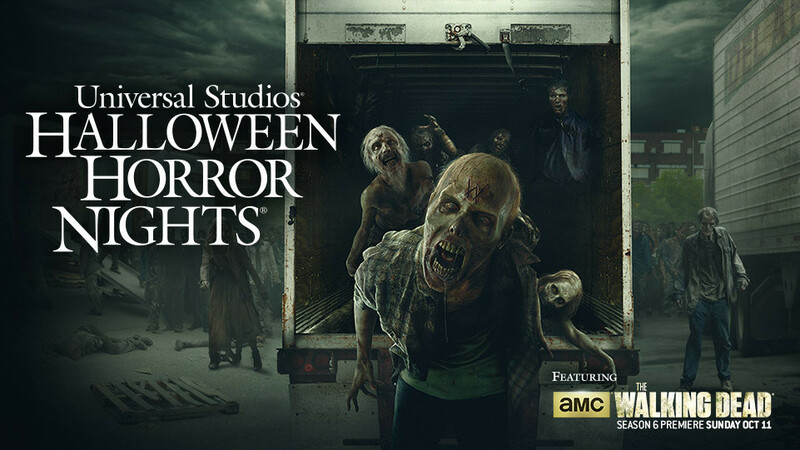 Horror Nights is one of the most popular events of the year for kids and adults to attend. Ticket prices are high, but you have access to all the rides as well as the mazes. Some people are so desperate to be able to go that they are even willing to steal. Earlier this week in Clermont, Florida, three teens were arrested and charged for stealing items from several houses and cars. Their intent was to sell the stolen items to make money in order to afford tickets to Halloween Horror Nights in Universal Studios, Orlando. For those that do fork out the $85-130 for tickets, you may be disappointed by the seemingly endless lines and dense crowds of people. The Walking Dead maze in particular, which is extraordinarily popular, can often have lines up to two hours long. The park opens for early entry at 6:15, and later at 7:00. If you plan on going, arriving earlier may help with avoiding lines. Now for some, the many costumed performers jumping out from every corner and chasing you around the park may not be frightening. But for most, it’s more than a sufficient scare for this Halloween season.